The building is at the end of the street, across from Central Rock Climbing Gym and Olympia Fencing Center on one side, and the Cambridge Fire Department on the other. Parking is on the back side of the building, off of Fawcett St. The entrance to the school is at the back of the building. 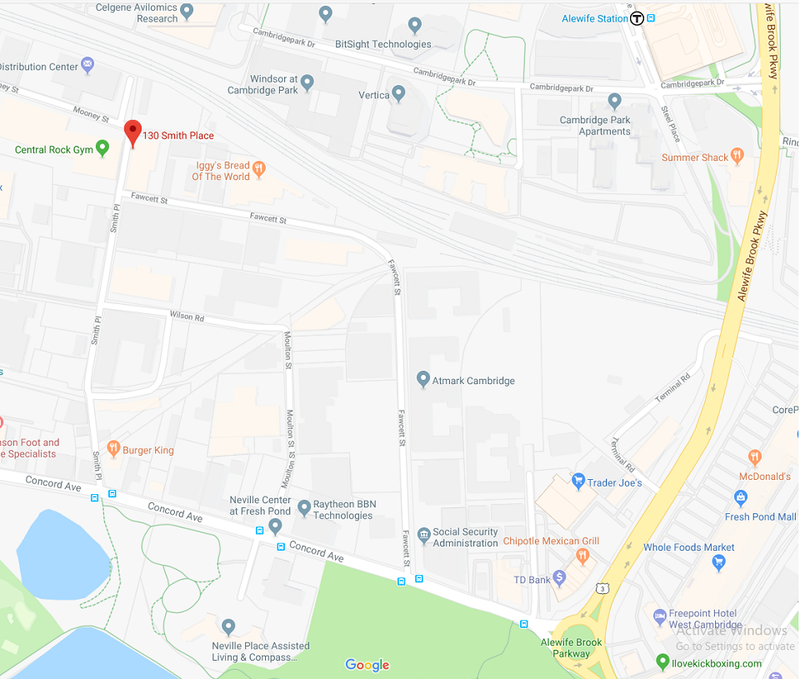 The nearest MBTA stop is at the intersection of Concord Ave and Smith Place, with service from bus routes 74 and 78 from/to Harvard.